This trip is now FULL for Novice/Beginner and Intermediate Climbers. Advanced climbers are welcome to come along, but please contact Tara prior to the trip. Ever wanted to try Sports Climbing but the grades are a little out of your reach? We will be venturing into the Tall Wet forests of Mt Macedon to have a play on a hidden little gem of a crag called Back Wall. 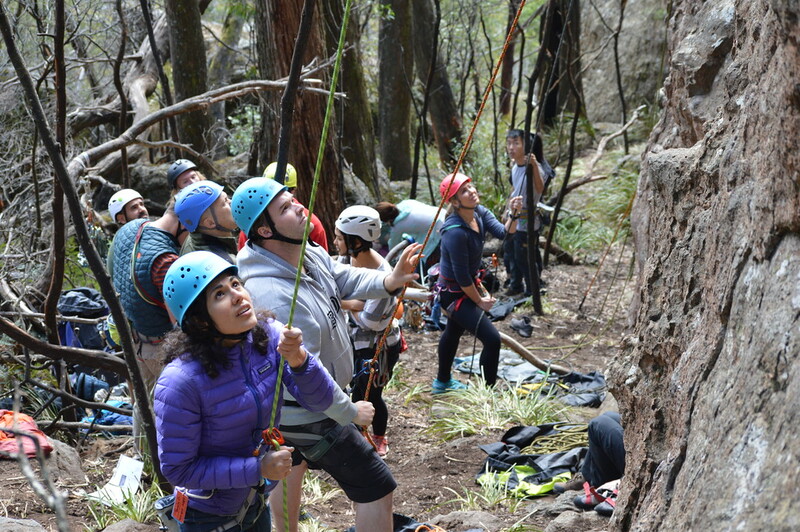 With 20 or so listed climbs on a 20 metre high cliff, the Back Wall has something for everyone, with Sports Climbs ranging in grade from 9 through to 22. You can choose to lead these climbs, or simply top-rope them. Please contact Tara, the Trip Leader, for details and to secure a spot on this trip. Places are VERY LIMITED. This trip is suitable for beginner, intermediate and advanced climbers, but beginner numbers are strictly limited. This crag is ideal for those beginning to lead sports climbs. Photos are from the VCC Club Trip to Back Wall, Mt Macedon, earlier this year.